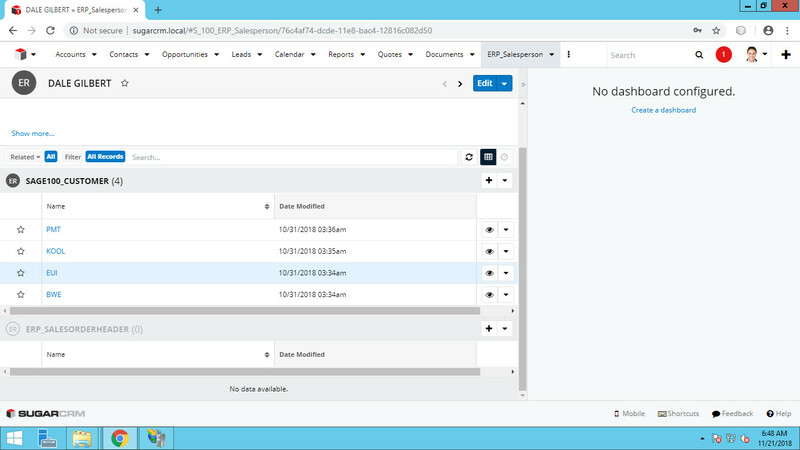 Commercient SYNC for Sage 50 UK ERP and Sugar CRM SugarCRM, Inc.
Commercient develops apps that integrate your Sage 50 UK ERP system with Sugar so that sales and customer data moves into the CRM. Commercient SYNC works without any coding, mapping documents, or ETL Tools. SYNC is a completely customizable solution backed by a highly efficient integration support service in case users face any issues. SYNC integrates one-way and bi-directionally, offering you just what you need. Looking at the client data through Sugar, Sales and Customer Service teams can communicate with accounts to deliver enhanced service and offerings to the customer. 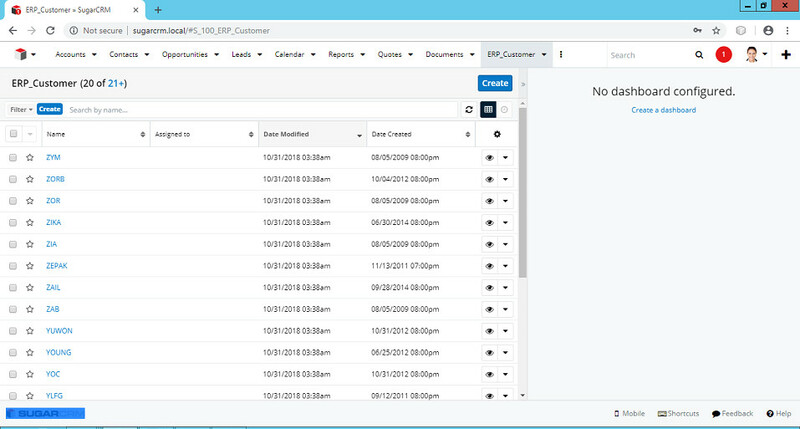 You can check the status of Sage 50 data like client history, invoices, payment terms, inventory availability and more. 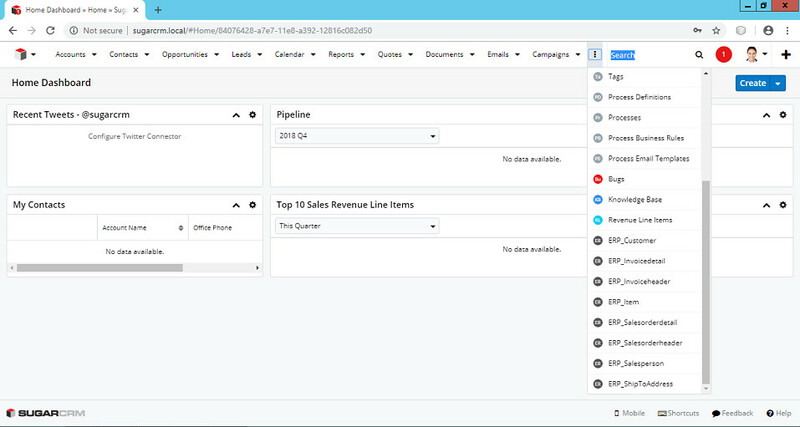 Salespeople also have the flexibility to close new orders and send the new sale directly into Sage 50 as Sales Orders, Bids, Jobs, or new products with a BOM. Commercient’s two-way integration SYNC for Sage 50 (UK) with Sugar Supports Versions 2016, 2017, 2018, 2019 all future versions and all Sage Versions including Sage 50 Pro, Sage 50c, Sage 50c Prof, Sage 50 Quantum Accounting, Sage 50c Quantum Accounting, Sage 50 Premium, and Sage 50c Premium. 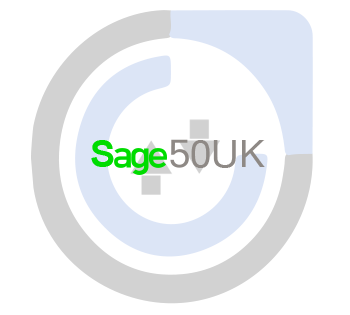 Sage 50, formerly called Line 50 is a market leading accounting solution, VAT complaint and supports advanced accounting. 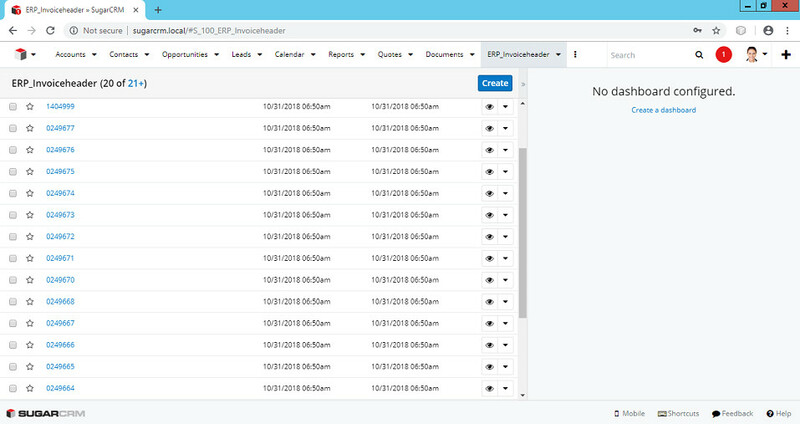 Commercient SYNC for Sugar is a cloud app used by multiple Sage 50 users who want a CRM in the cloud experience. 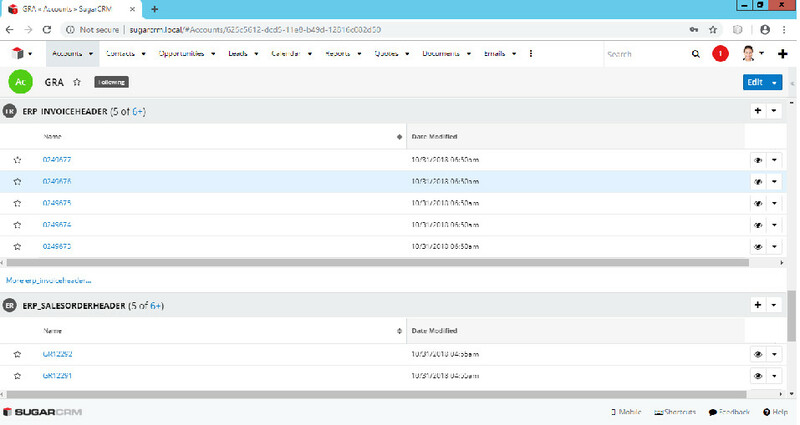 Operated by experts, SYNC for Sugar makes it possible to start up a dealer-partner portal, help salespeople reduce errors when performing complex product configurations, and keep track of past Sales Orders down to the minutest detail. Commercient SYNC replaces manual processes with automation to allow quick and accurate access to historic and real-time data in minutes. We also offer fast-track plans for quicker integrations. SYNC is an intelligent solution for medium and large businesses and supports 85+ ERP Systems.